Once again, there’s been an noticeable lack of posts around these parts. We’ve actually been doing a lot of projects, so look for more to come as we catch up on the blog. A biggie for this year was doing “something” about the garage roof. We’ve used it sporadically as a patio but got out of the habit when we had a little kid(s) running around. Mostly it serves as a giant, inadvertent pool once it starts raining and the under-sized drain clogs. That water needs to go somewhere, and it usually decides to migrate through the concrete and make the garages below very damp. The ultimate fix for this will be to do something to improve the almost non-existent slope. I would be surprised if it drops more than 1″ over the 20″ from back to front. We didn’t want to get into a complicated or expensive project right as fall was about to start, so we are trying out one of the deck/concrete paints that it seems everyone and their mother are selling these days. 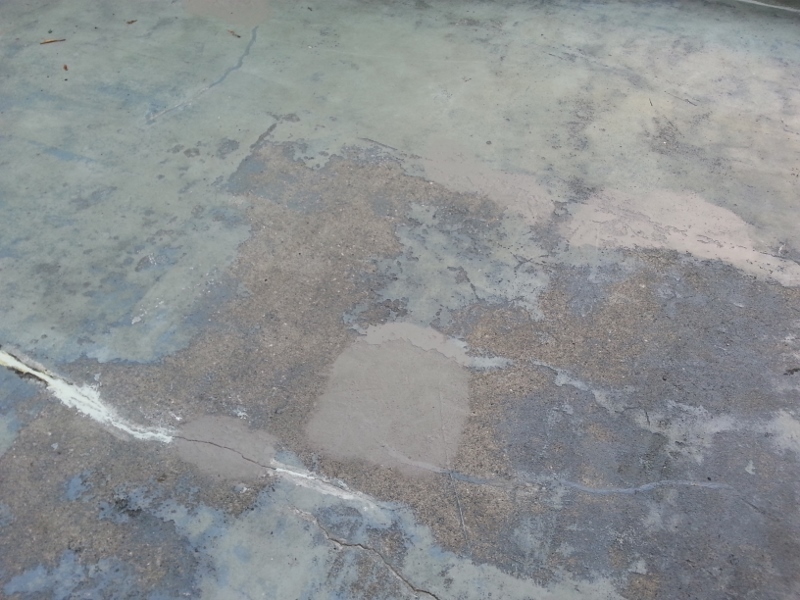 There are numerous options out there, but all of them claim to be able to mitigate cracks and surface defects. We decided to give Superdeck Deck & Dock a try. How come nobody ever took care of me? 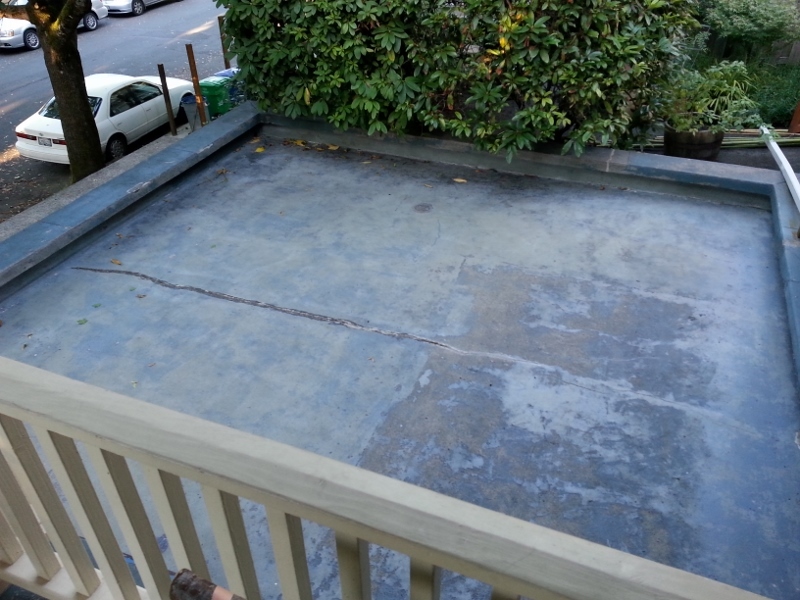 And finally, after a couple of coats of Superdeck. The messed up concrete in the lower part of the picture looks much worse in the photo than it does to the eye. 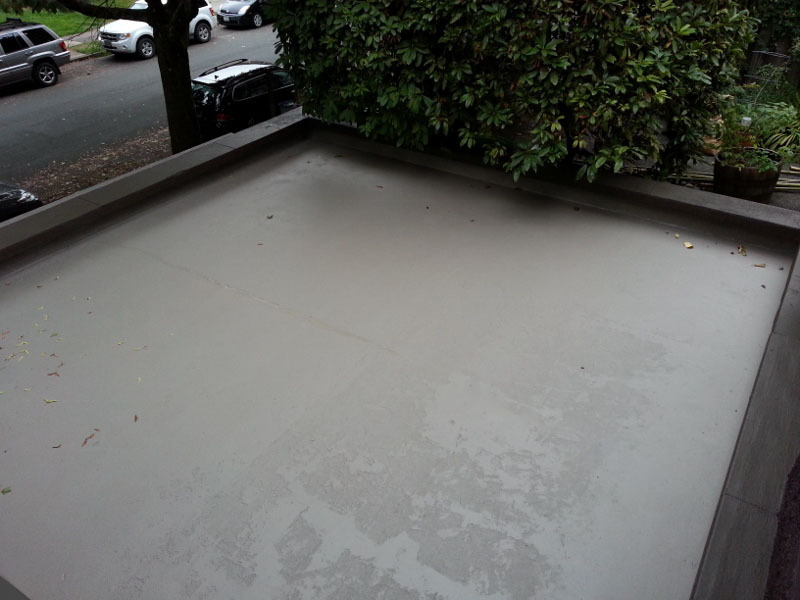 The elastomeric coating really did a nice job of smoothing the surface. It’s definitely a huge improvement, and we are going to use it on our front porch (also concrete) as well. So far, so good. We’ve only been through one winter, but it seems to be in OK shape. We’ll hit it with a pressure washer for a spring cleaning soon, so that’ll be the real test. Previous Previous post: Our first LED light bulbs!